Over £170,000 raised for more than 100 social enterprises. Below are just three of the fantastic non-profits that we've funded over the years. FoodCycle first pitched for support at YFN in 2009 when the organisation was less than a year old, and went on to pitch at several other Funding Network events. FoodCycle takes surplus food and makes it into healthy meals, bringing together communities, tackling food poverty and reducing isolation in the process. We are proud to have been one of FoodCycle's early supporters and have been delighted to see it grow into a UK-wide organisation with more than 200,000 meals served and 265 tonnes of surplus food saved. Lensational pitched for support in 2015 when Founder, Bonnie Chiu, had just graduated from the London School of Economics. Bonnie and her team of volunteers train women from disadvantaged communities around the world in photography and film, helping them to tell their own stories and become financially empowered. Lensational's journey so far has been incredible, with over 600 women supported and empowered through photography, and their stories told to thousands of people around the world. 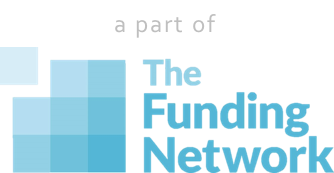 Settle was first supported at YFN in 2014 and has since been supported by The Funding Network as well. Settle tackles the root causes of youth homelessness by helping vulnerable young people transition into living independently and ensuring that they have the skills and support they need to thrive in the long-term. When Settle first came to us, the project was barely more than an idea but it has since grown into a game-changing programme which won Best Tenant Support Service in the 2016 Housing Excellence Awards. "It was brilliant you funded us so early on and took a chance on the project working. Thank you for making philanthropy both fun and brave!"